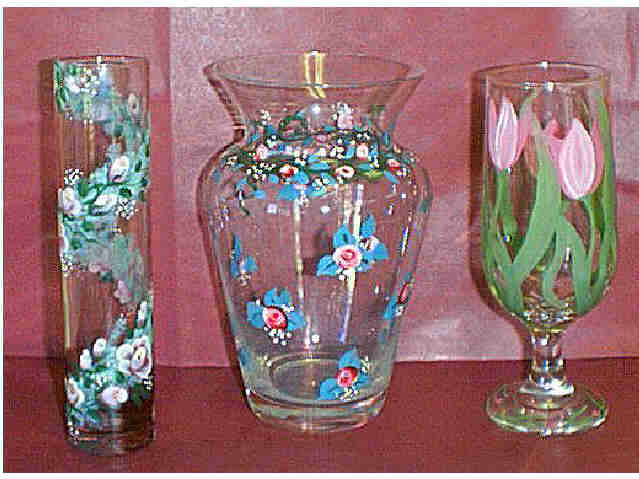 Middle- larger clear glass vase. Rose vine circles upper edge with more roses sprinkled under it. 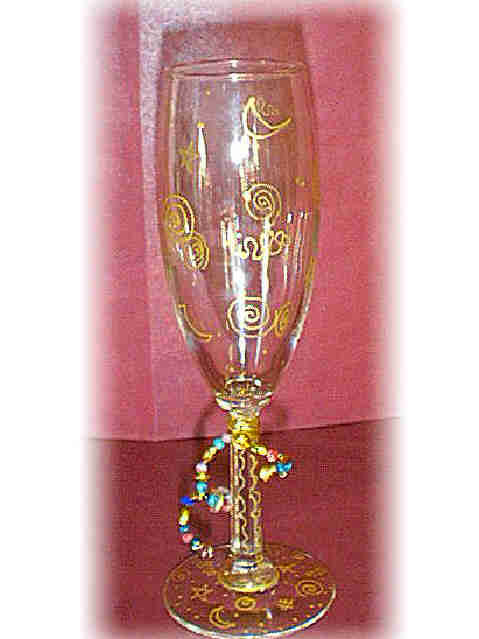 Right-Tulip Wine glass with a small circle of tulips on the base. (unless otherwise stated). 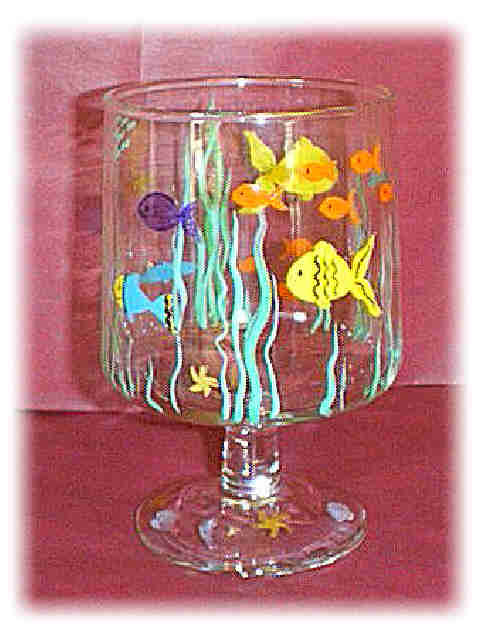 Designs and colors may vary as each one is individually paintied. Glassware may vary also depending on availability. gifts for that special someone. white ceramic , 6" tall. 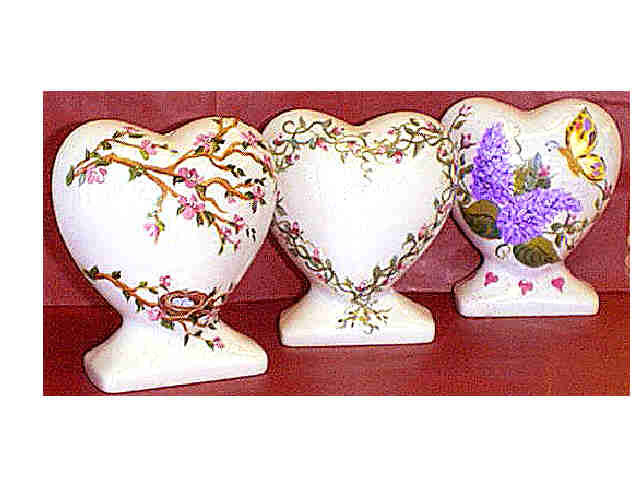 Each painted with a unique design, perfect gift for Mothers Day. 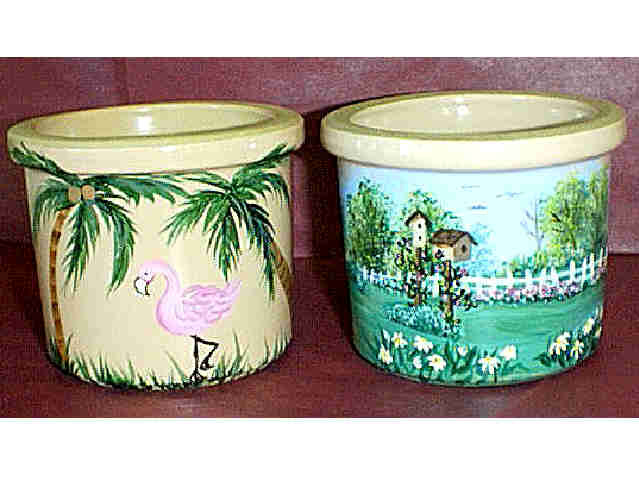 Small Crocks are wonderful in any room. Add a candle, pot pourrie, q-tips and cotton balls., a plant or a catch all for those keys and loose change. These above are aprox. 5" tall. Sizes and designs vary. moons, stars, dots and swirls. spring bouquet out of your garden. sea shells on the base. Items shown are examples of what is possible. 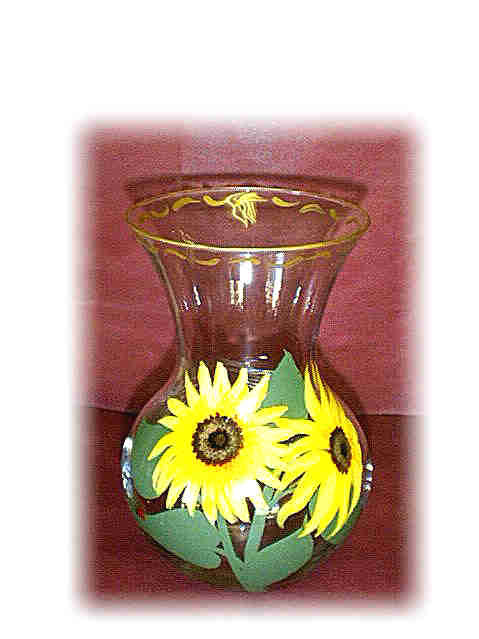 Designs may vary with new items as they are produced. Thanks for visiting and please sign my guestbook.